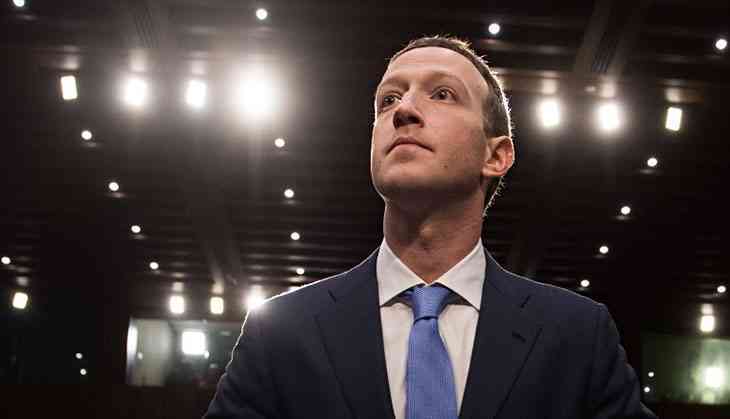 Facebook CEO Mark Zuckerberg has apologised on Tuesday (local time) to the lawmakers of the European Union (EU) over the social media giant's role in the Cambridge Analytica scandal. However, Members of European Parliament (MEP)s were left "frustrated" by the Facebook founder as the former accused the latter of evading questioning during a grilling at the European Parliament. "I asked you six yes and no questions. I got not a single answer," CNN quoted Green party politician Philippe Lamberts, as saying. Guy Verhofstadt, chair of the Alliance of Liberals and Democrats for Europe, branded the format of questioning "pre-cooked" and added it "ensured Zuckerberg could avoid our questions." The testimony comes three days before tough laws on data protection come into effect in the EU. Organisations would be fined 4 percent of global turnover if found violating the laws. Zuckerberg was pressed on Facebook's responsibility for the Cambridge Analytica data breach, its compliance with new EU privacy laws, according to the laws in the hearing, which ran for about 90-minute with a dozen of the Parliament's leaders in Brussels. Data privacy is a major issue among European citizens. The European Union (EU) has been fighting with prominent American tech companies over data privacy for years. The US government and EU were in an open conflict in 2015, when it withdrew a data sharing agreement because of "mass indiscriminate surveillance and interception" of personal data by the US authorities, CNN reported. The lawmakers were given three minutes each to ask their questions one after another. Zuckerberg was given time to answer them in the end. The format was very different from that of Zuckerberg's testimony to US lawmakers in April. The social media mogul had been earlier questioned in the joint hearing of the members of the US House of Representatives Energy and Commerce Committee at the Capitol Hill over the issue of the data breach in April. During that testimony, he admitted multiple incidents of the data breach as he said that his own personal information has been compromised. Cambridge Analytica is accused of wrongfully accessing the data of over 87 million Facebook users to build political tools which allegedly influenced the US presidential election in 2016. Following the accusations, the firm has shut down its offices all over the world, due to bankruptcy.